Over the years a vendor at the local farmer’s market has occasionally offered a corn bread. 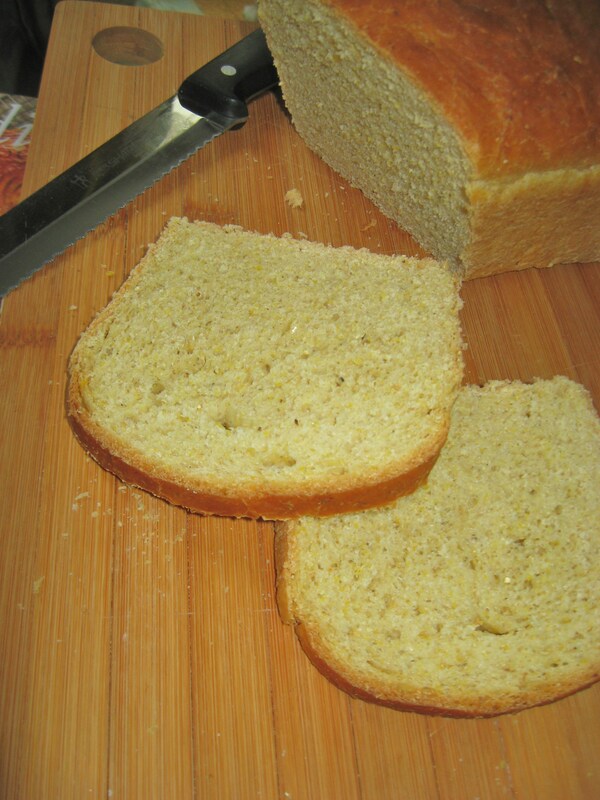 Not a cornbread, the often sweet quick bread, but a yeast bread with some cornmeal added to the dough that was baked into a round loaf. During the summer it made a marvelous BLT. But its appearance was sporadic, and I hadn’t seen it in quite awhile. Or thought much about it. Until a trip to Slovenia, where, lo and behold, a yeast-raised corn bread was part of the bread basket wherever we went. Toasted, it was fabulous for breakfast, with a drizzle of honey. Sure, cornbread, that American staple, is a great option to accompany chili, stews and other hearty winter fare. But you really ought to give corn bread a try. Maple Cornbread: Via King Arthur Flour, a ,moist easy-as-pie recipe that smells heavenly when baking, thanks to a touch of maple syrup. Rhode Island Corn Bread: From the Sundays at Moosewood Restaurant cookbook. The name says New England, but this recipe captures the taste of those wonderful Slovenian bread baskets. Hi, I didn’t have that problem with the Corn Bread loaf rising. But I was using reliable old SAF Instant Yeast, and let the dough be it’s sticky self and didn’t add too much flour. It never gets to the kind of soft, satiny feel of typical bread dough, but stays kind of rough.